Longrich, et. al, PLoS ONE, 2012. 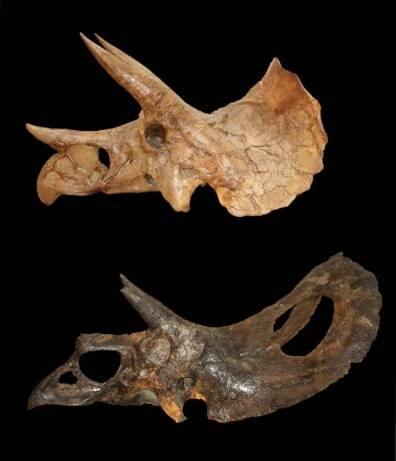 On the top, a Triceratops skull characterized by a short frill without holes. Torosaurus (on the bottom) is characterized by an elongated frill with a straighter edge with a large hole in the middle.